Welcome to the first ever blog post from your community of Houston luxury apartments! We’ll be posting two blogs per month from here on out, and each one will feature a different topic related to life in and around your SOLA Uptown apartment community. You can expect posts about nearby restaurant recommendations, outdoor activities, apartment organizing advice and more. In the blog post below, we’ll be talking about some of the best ways to decorate your new place. Living in an apartment is all about maximizing available floor space, and the tips below should help you do just that. 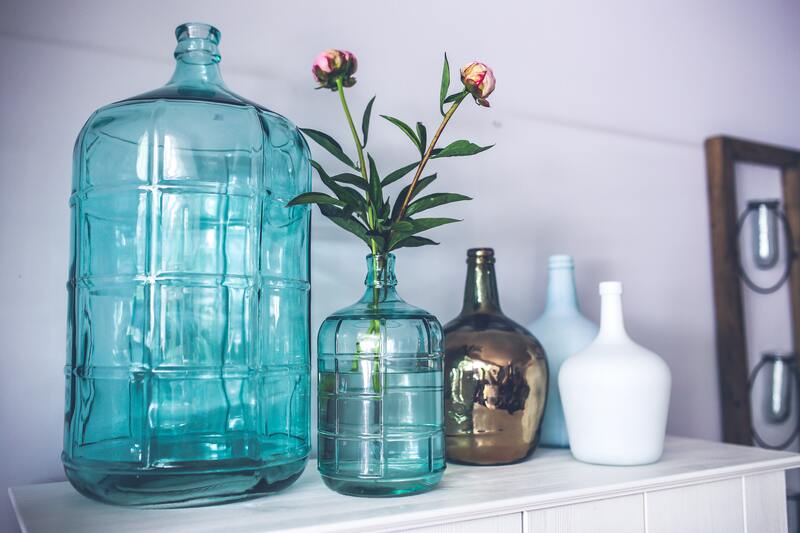 We know that everyone has their own style and sense for decor, and we hope that these tips will help you make your new space your favorite space. Without further delay, let’s get right to this week’s blog! When you’re done reading through it, please be sure to share the link to this page with your friends and neighbors at your community of Houston apartments! After all, you never know who might need a little help decorating their new place. There’s something about using monochromatic colors that makes your place seem larger than it actually is. Apartments, in general, should be decorated with a limited number of colors. The more colors you have in your place, the more cluttered it will appear. While we’re not going to tell you to to exclusively use boring colors like white and gray, we do encourage you to be as monochromatic as you can without boring yourself with your decor. This next tip is actually similar to our previous tip, except we take the same principles and apply them to wall-art instead of color schemes. Hanging a bunch of different pieces on your walls will make your place seem cluttered. Hanging one or two larger statement pieces, however, will clean things up and help your decor seem more organized and purposeful. Don’t be afraid to get that massive piece of art next time you’re out shopping for new pieces! Rugs are an often underutilized decor piece, but their versatility makes them a must-have. We recommend putting rugs under pieces like coffee tables and corner chairs in order to create a sense of separation between the various pieces in your apartment. Don’t overdo it with wild patterns or anything like that, but don’t be afraid to add rugs wherever possible. Sectioning off your apartment will help you create a tidy space that makes sense visually. With that, we’ve reached the end of our first ever blog post! We’re thrilled that you were able to take a few minutes out of your day to read this blog, and we hope that you’ll continue to check back to read future posts when they go live on the website. While you wait for the next post to go up on the site, go ahead and make use of the apartment decor tips above! We’ll be back in November with two more brand new blogs! If you liked this week’s post and you’d like to be among the first to read the next post, please be sure to bookmark our blog page. That way, you’ll able to easily check back to read our next post when it goes up on the site. While you wait for that post to go live, you can stay informed about everything happening at SOLA Uptown by following our apartment community on social media! There’s no better way to stay informed about all the events and promotions going on at your community of Uptown Houston apartments.